Benjamin Kanter, MD, FCCP, joined Vocera as Chief Medical Information Officer (CMIO) in January 2017. Prior to joining Vocera, Dr. Kanter worked as an industry consultant and thought leader with innovative healthcare IT companies, including Extension Healthcare, where he was most recently the CMIO. He previously served as Chief Medical Officer of Sotera® Wireless from September 2014 to June 2016. 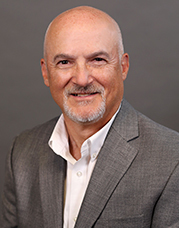 Prior to his role at Sotera, Dr. Kanter was the CMIO at Palomar Health in San Diego, where in 2013 he worked with Extension Healthcare to create a reverse look-up smartphone app that allows physicians to search for patients and immediately identify and contact their assigned nurse. Dr. Kanter spent seven years on the executive management team at Palomar Health. He also chaired the departments of medicine at both Palomar Medical Center and Pomerado Hospital, founded and directed Palomar’s Sleep Disorders Laboratory, and was Chief of Staff at Pomerado Hospital. Dr. Kanter earned his medical degree and completed internal medicine training at Northwestern University. He completed post-doctoral studies in both pulmonary disease and critical care medicine at the U.C.S.D. Medical center in California, where he remained on clinical faculty after graduation. Dr. Kanter is board-certified in internal medicine, pulmonary disease and medical informatics.